BRICS countries’ Heads of Revenue Meeting hails GST Reforms being introduced in India; Memorandum of Cooperation (MOC) in respect of tax matters identifying areas of cooperation signed by the BRICS Heads of Revenue at the Meeting held at Hangzhou,China . India's GST reform has been hailed by the BRICS countries in a meeting of Revenue Heads in China recently. In the meeting of the BRICS Heads of Revenue and Tax Experts held at Hangzhou, China from the 25th to 27th of July, 2017, India's GST reforms were appreciated and hailed by the BRICS countries. The Indian delegation was led by Dr. Hasmukh Adhia, Revenue Secretary of India. 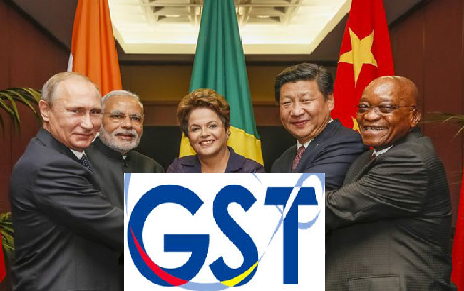 The leaders and representatives from BRICS countries were inquisitive about GST Reforms introduced in India and appreciated efforts of India in bringing about this major reform. During the Press Conference held after the meeting, the media also enquired about the GST reforms introduced in India. The salient features and advantages of the reform were explained to the media. During this meeting, the BRICS Heads of Revenue and Tax Experts deliberated upon contemporary International Tax issues. A joint communiqué was issued at the end of the meeting. A Memorandum of Cooperation (MOC) in respect of tax matters identifying areas of cooperation, namely, coordination in International Forums, Capacity building, Experience sharing and regular interaction was also signed by the BRICS Heads of Revenue.